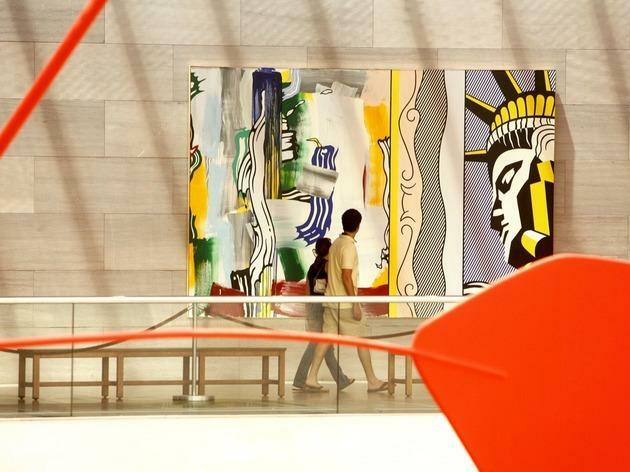 Of course, landmark art museums like NYC’s Metropolitan Museum of Art and D.C.’s National Gallery of Art are national treasures, but checking out an exceptional permanent collection or the latest exhibitions ranks among our favorite things to do in any urban destination. Since several cities have more than their fair share of standouts, we had to make some tough choices, but our short list includes some idiosyncratic gems among the encyclopedic art institutions. 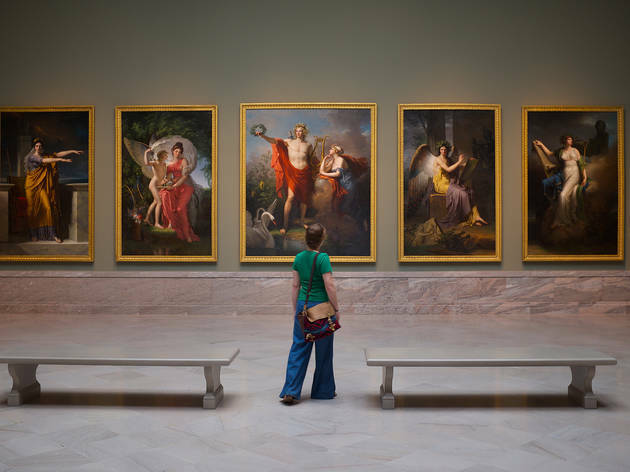 In our view, these are the best museums in the country for feasting your eyes on the finest paintings, sculptures, photography, installations and other visual art forms. After a two-year renovation based on a design by Japanese architect Yoshio Taniguchi, MoMA reopened in 2004 with almost double the space to display some of the most impressive artworks from the 19th, 20th and 21st centuries. On the horizon is another expansion project, which will extend the museum into adjoining sites for an additional 50,000 square feet of gallery space. 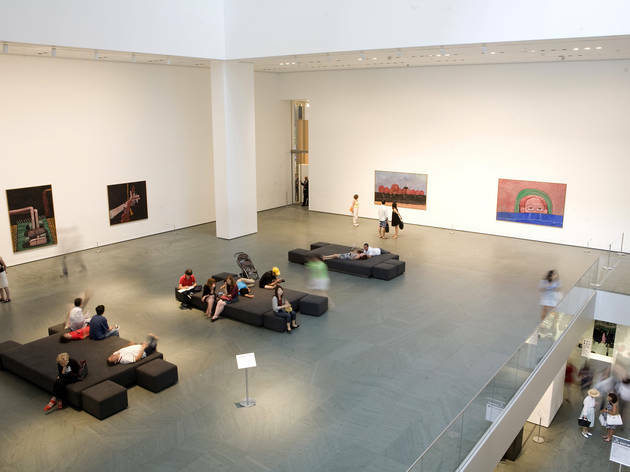 MoMA’s permanent collection encompasses seven curatorial departments: Architecture and Design, Drawings, Film, Media, Painting and Sculpture, Photography, and Prints and Illustrated Books. 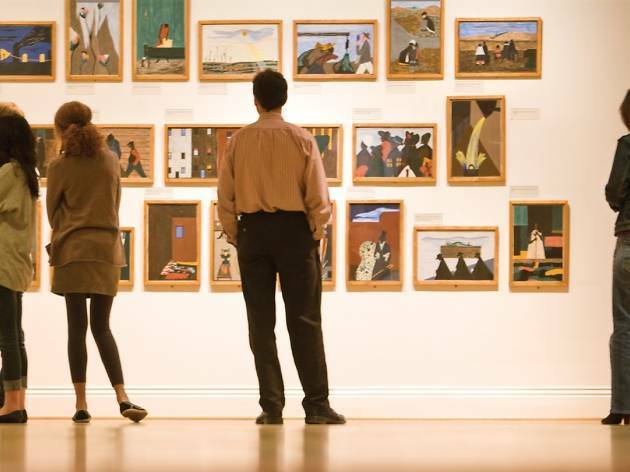 Highlights include Picasso’s Les Demoiselles d’Avignon, Van Gogh’s The Starry Night and Dalí’s The Persistence of Memory, as well as masterpieces by Giacometti, Hopper, Matisse, Monet, O’Keeffe, Pollock, Rothko, Warhol and many others. Outside, the Philip Johnson-designed Abby Aldrich Rockefeller Sculpture Garden contains works by Calder, Rodin and Moore. The destination museum also contains a destination restaurant, the Modern, which overlooks the garden. Not only does this massive institution—comprising 17 curatorial collections and more than two million objects—preserve such treasures as an Egyptian temple from 10 B.C., but the Met is also in a state of constant self-improvement. 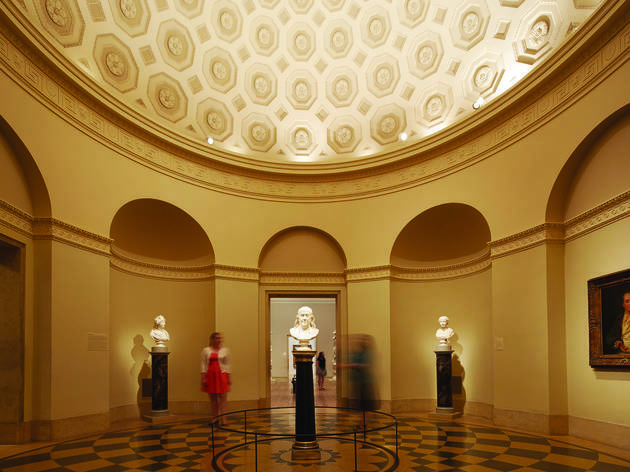 The halls housing Greek and Roman art, the American Wing, the European Paintings Galleries and the rechristened Anna Wintour Costume Center have all received impressive revamps in recent years. 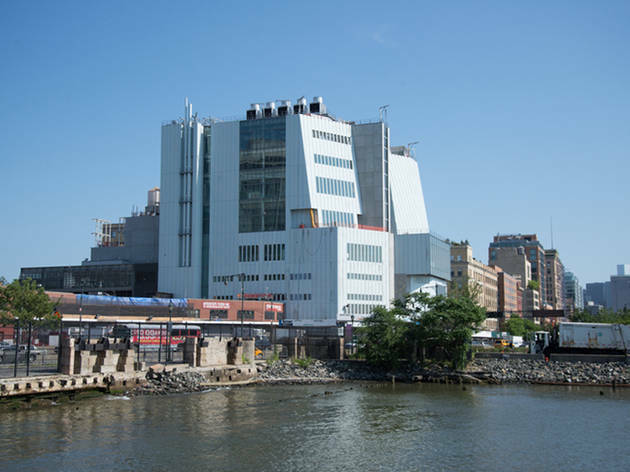 And in March 2016, the museum opened Met Breuer, which showcases contemporary art and performances in the old Whitney space on Madison Avenue for the next eight years. Upstairs, the central western section is dominated by the expanded European Paintings Galleries, which hold an amazing reserve of old masters—the museum’s five Vermeers are now shown together for the first time. 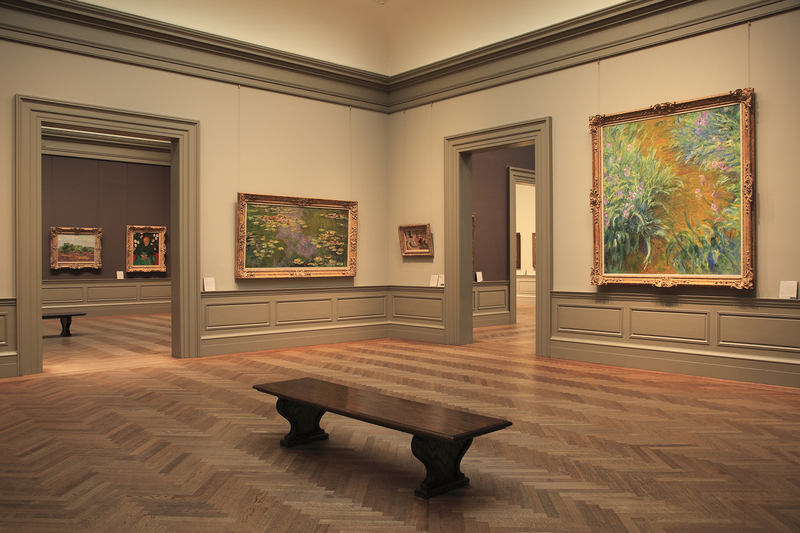 The 19th-century and early 20th-century European galleries contain some of the Met’s most popular works—in particular, the two-room Monet holdings and a colony of Van Goghs that includes his oft-reproduced Irises. 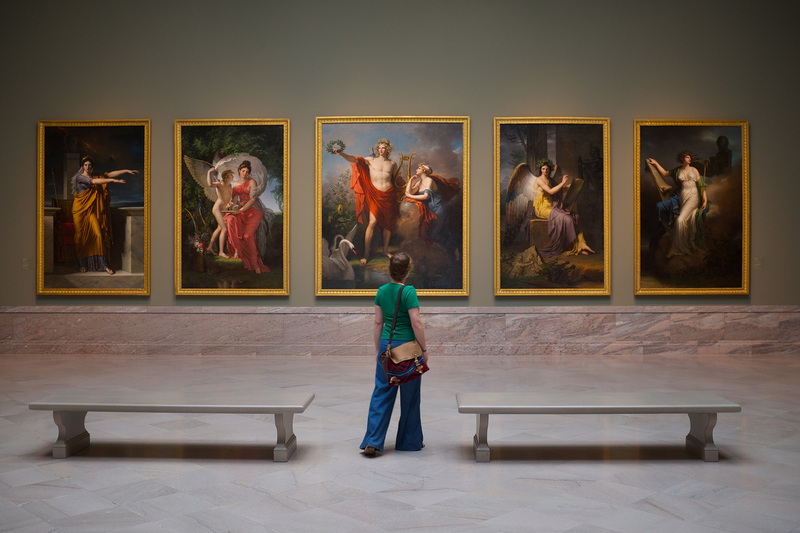 You could spend the next four years getting to know this encyclopedic institution, which owns more than 300,000 artworks and artifacts from all over the world and from every era, from antiquity to the present. 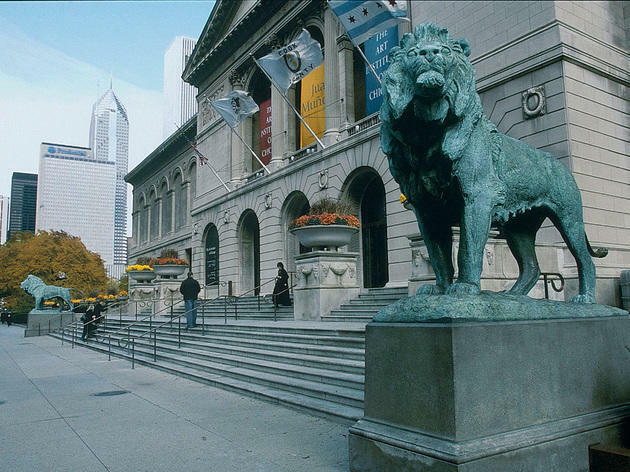 Our favorite pieces in the Art Institute include the Japanese prints, fragments of local buildings by Frank Lloyd Wright and the Thorne Miniature Rooms. We’re also in love with the light-filled Modern Wing, which is the perfect place to enjoy the museum’s architecture and design collections, modern and contemporary art and gorgeous views of Millennium Park. Several of the most famous paintings in the world call this museum their permanent home, including Van Gogh’s The Bedroom, Grant Wood’s American Gothic, Edward Hopper’s Nighthawks and, a favorite of Ferris Bueller’s, George Seurat's massive pointilism masterpiece A Sunday Afternoon on the Island of La Grande Jatte. National Gallery of Art; Washington, D.C.
Pittsburgh investment banker and industrialist Andrew Mellon presented the National Gallery’s neoclassical West Building as a gift to the nation in 1941, and his son Paul created the East Building, designed by I.M. Pei, in 1978. 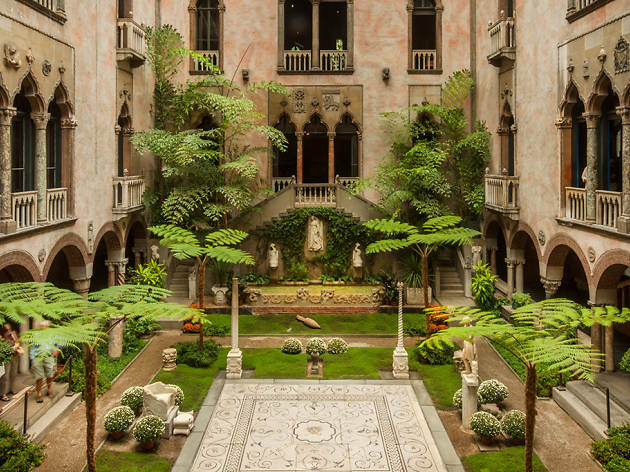 The former’s sky-lit main floor covers European and American art from the 13th to the early 20th centuries, among them Leonardo da Vinci’s almond-eyed portrait of Ginevra de’ Benci, Botticelli’s Adoration of the Magi and Jan van Eyck’s Annunciation. The sculpture galleries contain the world’s largest collection of Edgar Degas’s wax and mixed-media sculptures. An underground concourse connects the two buildings via a moving walkway through Multiverse, a starry installation by American artist Leo Villareal. After three years of construction, the East Building re-opened boasting two spectacular towers and a roof terrace outdoor sculpture garden overlooking Pennsylvania Avenue. One of the towers plays host to perhaps the museum’s most jaw-dropping rooms, which features abstract expressionist masterpieces, Barnett Newman’s 14 black-and-white series of paintings Stations of the Cross: Lema Sabachthani contrasted with a collection of his contemporary Mark Rothko’s iconic, vivid colorful abstractions. 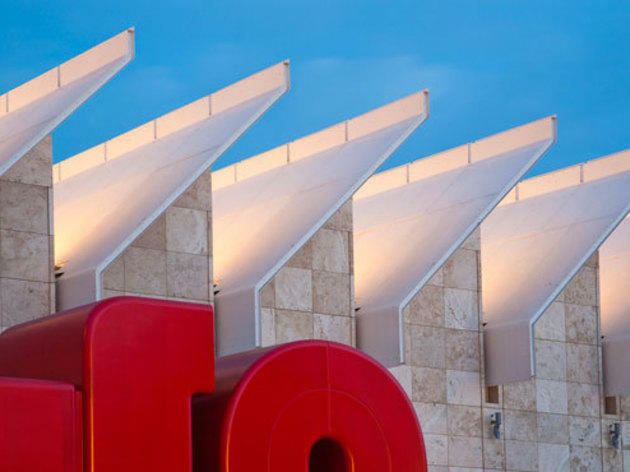 LACMA is truly a multiday destination, given the size and scope of its collection. 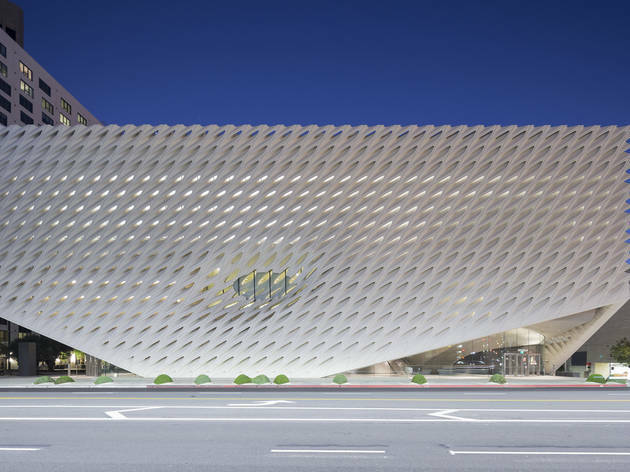 From Chris Burden’s iconic entrance installation Urban Light, a piece made up of 202 cast-iron street lamps gathered from around L.A., to the Pavilion for Japanese art, a day at LACMA can include works spanning hundreds of years and thousands of miles. Highlights in the collection include Diego Rivera’s portrait of Frida Kahlo, 17th-century artist George De La Tour’s The Magdalen With The Smoking Flame and Henri Matisse’s La Gerbe. 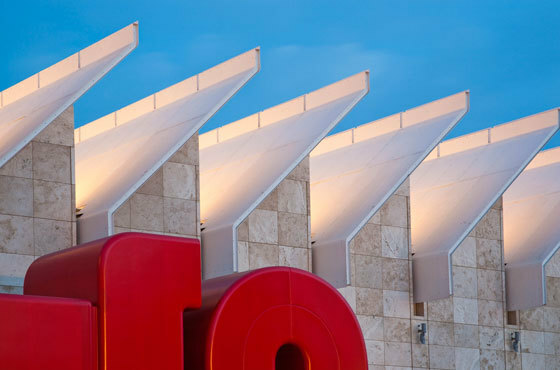 Exhibitions at the Renzo Piano-designed Resnick Pavilion have included retrospectives by artists such as Alexander Calder, James Turrell and Tim Burton. 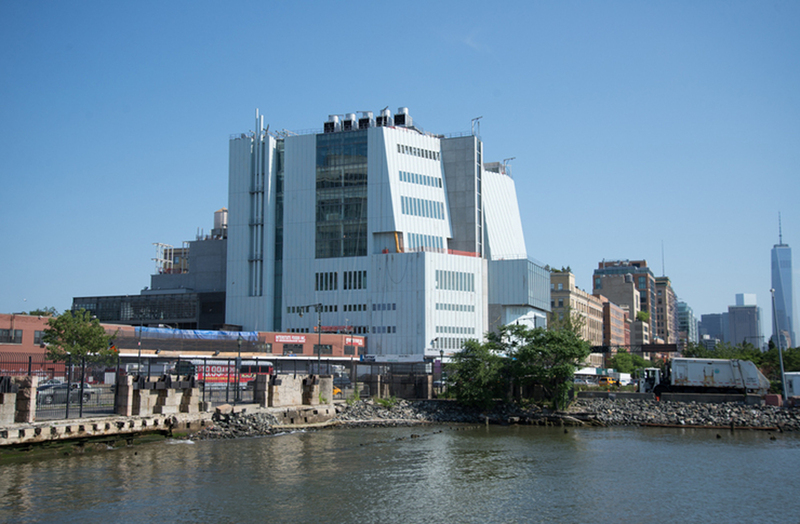 After nearly 50 years on the Upper East Side, the Whitney decamped to new downtown digs, at the foot of the High Line, in 2015. 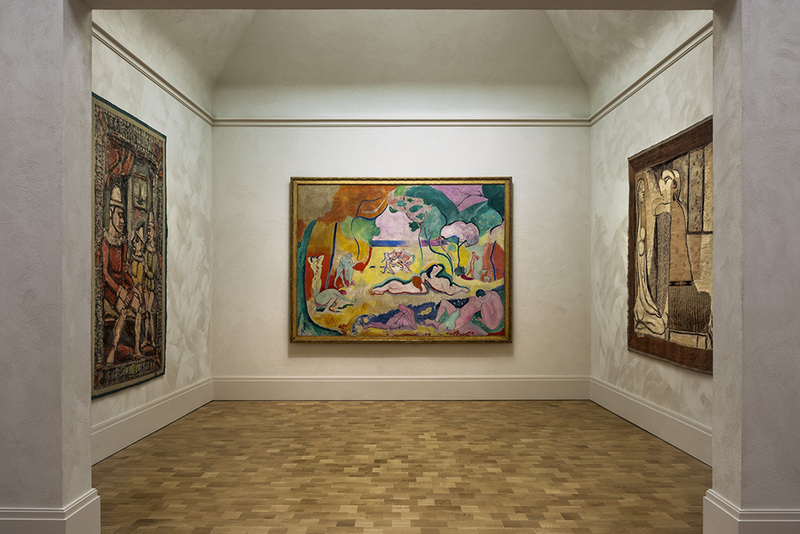 Founded in 1931 by sculptor and art patron Gertrude Vanderbilt Whitney, the institution holds more than 20,000 pieces by about 3,000 artists, including Willem de Kooning, Edward Hopper, Georgia O’Keeffe and Claes Oldenburg. Yet, its reputation has rested primarily on its temporary shows—particularly the prestigious and controversial Whitney Biennial. The nine-story, steel-and-glass building, designed by Renzo Piano, is roughly three times the size of the old premises. 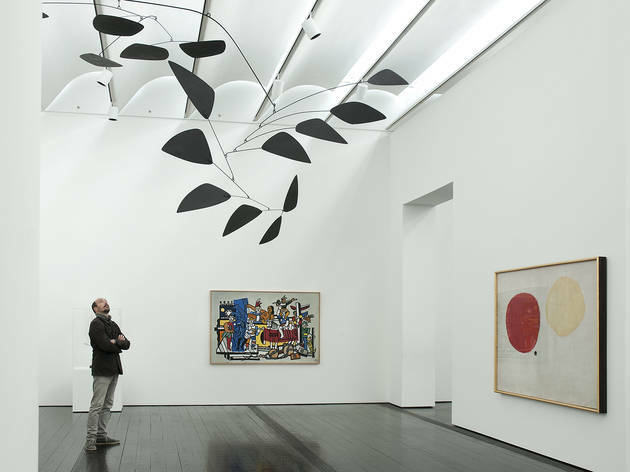 For the first time, there is space for a comprehensive display of the collection, including such iconic works as Alexander Calder’s Circus and Jasper Johns’s Three Flags. The dramatic, asymmetrical structure features a series of outdoor terraces: On the fifth, sixth and seventh floors, you can take in alfresco sculptures and installations while admiring sweeping Hudson River and city views. Hirshhorn Museum & Sculpture Garden; Washington, D.C. 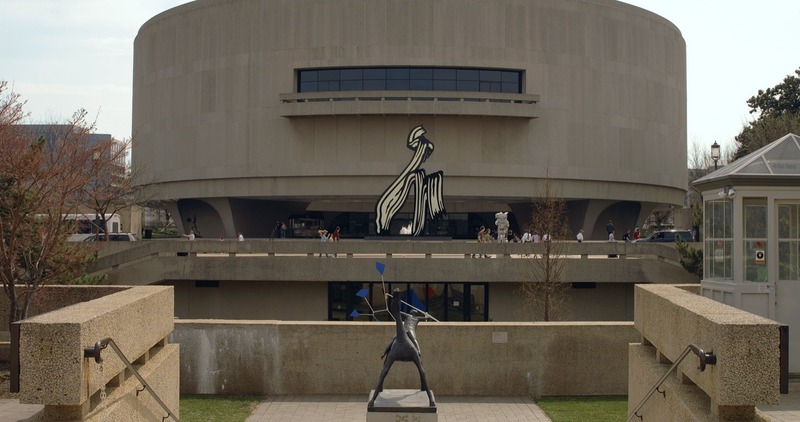 This spectacular, aggressively modern cylindrical building by Skidmore, Owings and Merrill was completed in 1974 to house self-made Wall Street millionaire Joseph Hirshhorn’s collection of 20th-century painting and sculpture. 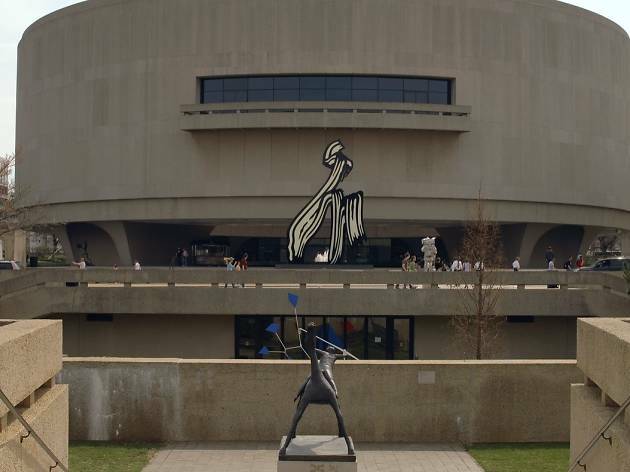 The Hirshhorn Museum now presents art in a range of media, including works on paper, painting, installation, photography, sculpture, digital and video art. 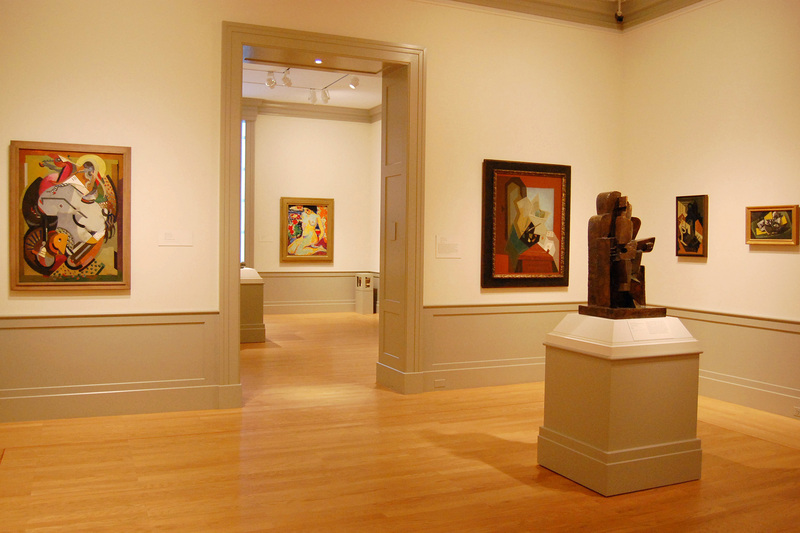 Third-level galleries house works from the permanent collection, which includes a significant Giacometti collection, the largest public collection of works by Thomas Eakins outside the artist’s native Philadelphia, and a pair of Willem de Kooning’s rare “door paintings” (the museum has the largest public array of his work in the world). 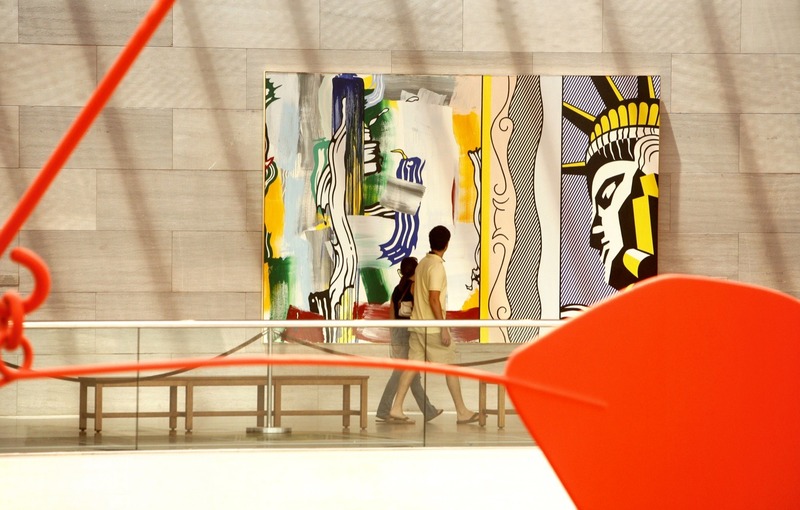 Located on the side of the gallery facing the National Mall, across Jefferson Drive, the Sculpture Garden features works by Rodin, Matisse, Koons, Calder and more. 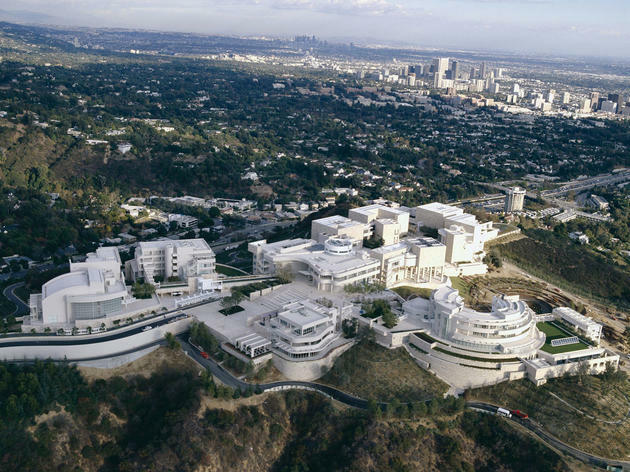 L.A.’s hilltop acropolis was conceived as a home for the contents of the J. Paul Getty Trust, but that’s the only straightforward thing about it. 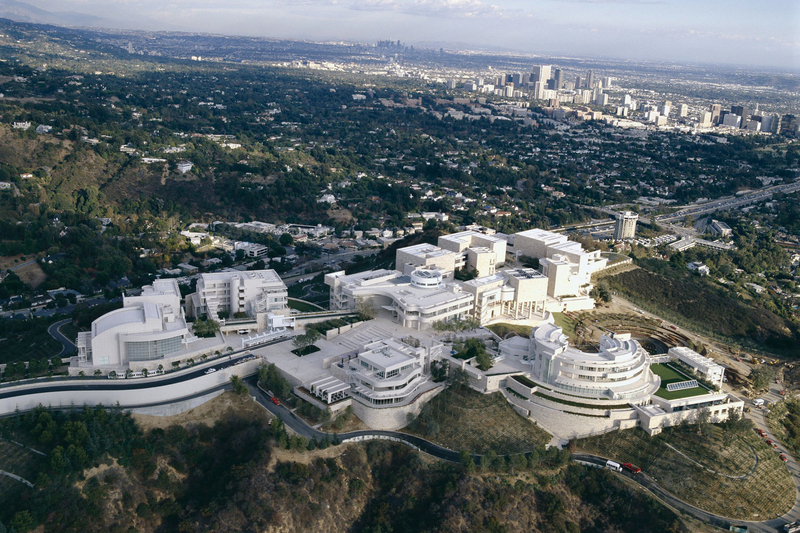 Architect Richard Meier was hired to build the museum in 1984, but it took 13 years, several additional designers (to work on the interior and landscaping) and $1 billion to complete. The result is a remarkable complex of travertine and white metal-clad pavilions that resembles a monastic retreat with panoramic views James Bond would dig. The Getty’s gardens are a highlight, as is the lobby, an airy, luminous rotunda that opens to a fountain-filled courtyard surrounded by six pavilions housing the permanent collection and temporary exhibitions. The Philadelphia Museum of Art is one of the largest museums in the United States, with more than 200 galleries containing some 227,000 objects from the first century A.D. to the present day. Its broad holdings include renowned collections of American painting, sculpture and decorative arts, particularly 18th- and 19th-century Philadelphia furniture and silver, and Pennsylvania German art. The museum also houses the most important collection of works by American realist artist Thomas Eakins (1844-1916) in the world. 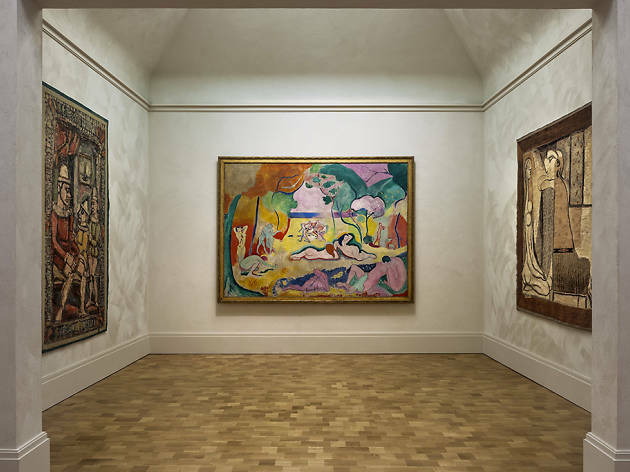 What has made the PMA a mecca for generations of artists, though, is the Louise and Walter Arensberg collection of modernist masterworks—including Marcel Duchamp’s The Large Glass (1915-1923)—which the couple donated to the museum in 1950. The price of admission also gets you into the Rodin Museum, which PAM administers. 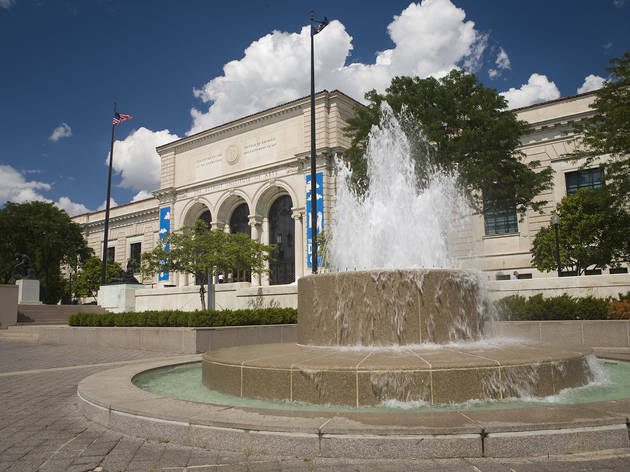 The Cleveland Museum of Art celebrated 100 years in 2016 and is one of the best encyclopedic art museums in the nation. Renowned for its deep Asian and Egyptian holdings, it’s also strong on medieval art from Europe and America and boasts a growing collection of postwar masterpieces. 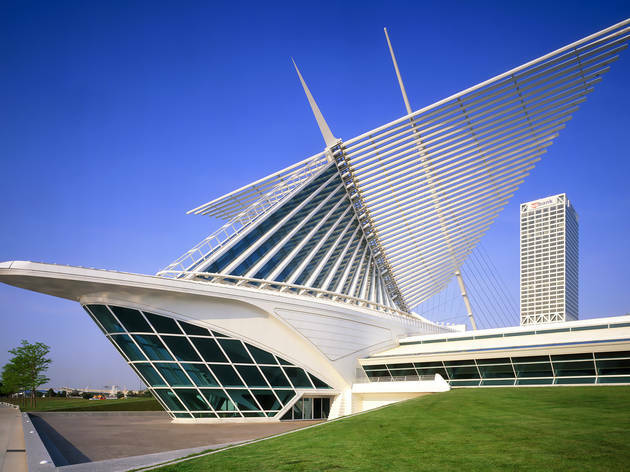 An expansion, designed by Uruguayan architect Rafael Viñoly and completed in 2013, increased the museum’s floor space to a whopping 592,000 square feet. The myriad treasures on view range from an exquisite Egyptian hardstone sculpture of the head of Amenhotep III from 1391-1353 B.C. to Albert Pinkham Ryder’s symbolist painting The Race Track (Death on a Pale Horse), 1896-1908. 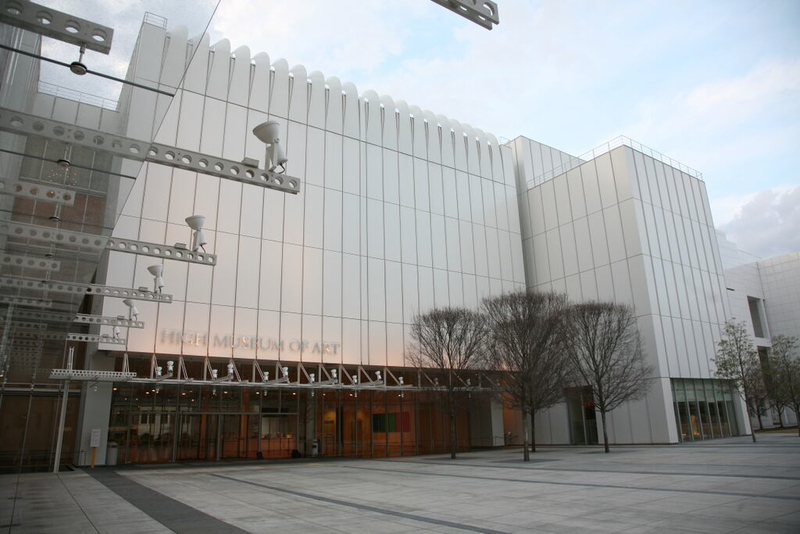 Founded in 1870, the Museum of Fine Arts continues to improve and innovate: Hot on the heels of its dramatic American Wing (designed by Foster & Partners), its Linde Family Wing for Contemporary Art has added 10 new galleries. The space contains about 250 works in all media—many of them new acquisitions—by the likes of Ellsworth Kelly, Kara Walker and Rachel Whiteread. 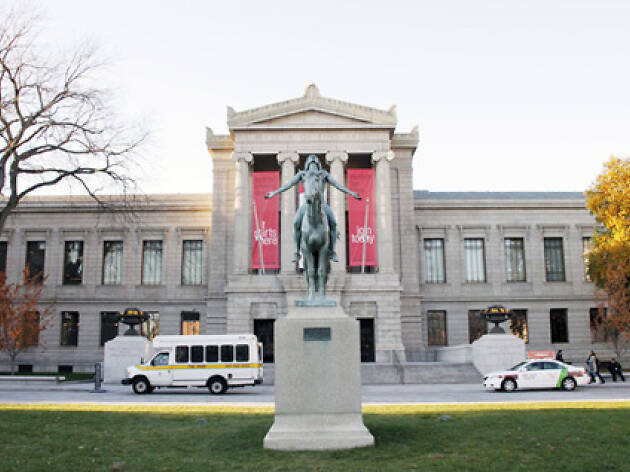 The MFA’s globe-spanning collection encompasses 500,000 objects. 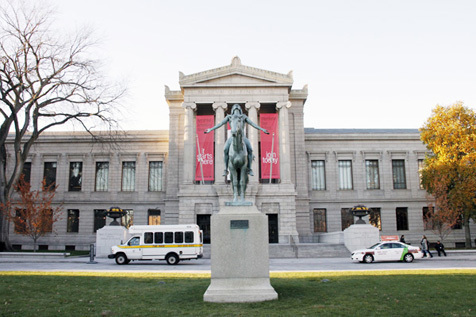 Of particular note is the collection of American art, including Paul Revere’s silver Liberty Bowl and paintings by John Singleton Copley; the Egyptian collection, much of which was acquired through excavations in conjunction with Harvard University in the first half of the 20th century; the Japanese collection (the first in America, and one of the finest in the world); and the Impressionist and Post-Impressionist paintings, including an impressive array by Monet—the second largest collection of his work in the U.S. Housed in one of Renzo Piano’s earliest and most serene museum buildings, the Menil Collection opened in 1987 to exhibit the private collection of John and Dominique de Menil. 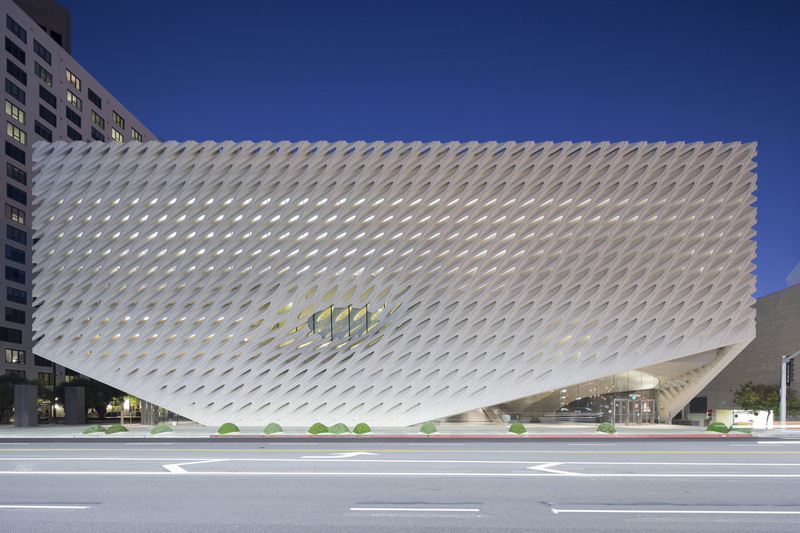 The museum’s holdings, comprising approximately 17,000 pieces ranging from Byzantine icons to Surrealist paintings, are unified by the couple’s deep belief in the spiritual or transformational power of art. Thus, galleries of works by the likes of Duchamp, Warhol and Twombly are accompanied by such permanent exhibits as “Witnesses to a Surrealist Vision,” a display of the sort of anthropological objects and other curiosities that fascinated and inspired the Surrealists. Also on the Menil campus is the interfaith Rothko chapel, commissioned in 1971 and containing a suite of 14 canvases by Russian-born American painter Mark Rothko. In October 2017, the museum will also expand with the separate Menil Drawing Institute, the first freestanding facility dedicated solely to exhibiting modern and contemporary drawings. 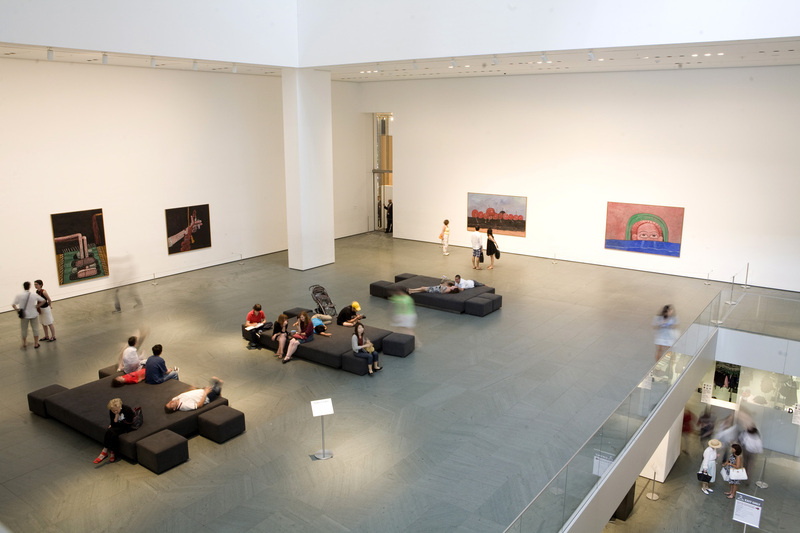 Housing one of the largest collections of modern art in the nation, the Museum of Contemporary Art also hosts major touring exhibits, film screenings and performing artists. 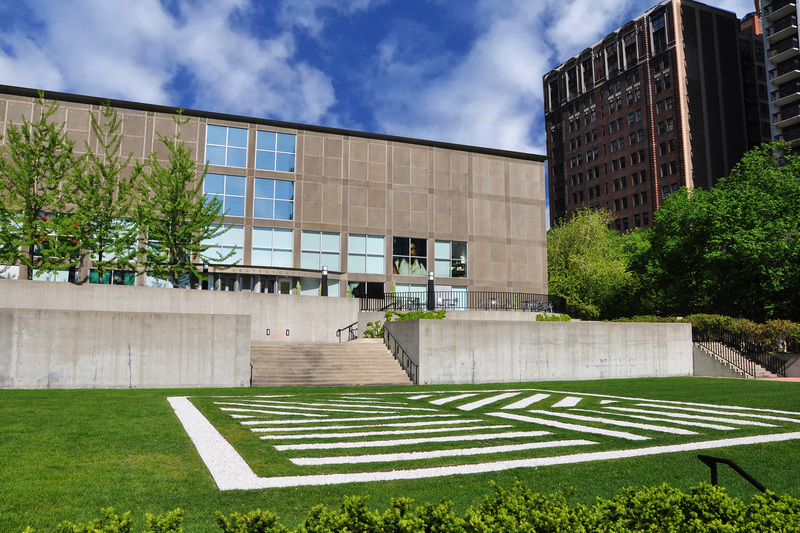 When you need a break from the extensive network of galleries, get some air in the picturesque sculpture garden. Don’t forget to exit through the gift shop—the museum boasts one of the city’s best selection of offbeat tchotchkes. Smithsonian American Art Museum; Washington, D.C.
As the country’s first museum dedicated to American art, the Smithsonian Art Museum is one of the leading collections of work from the Colonial period until today. 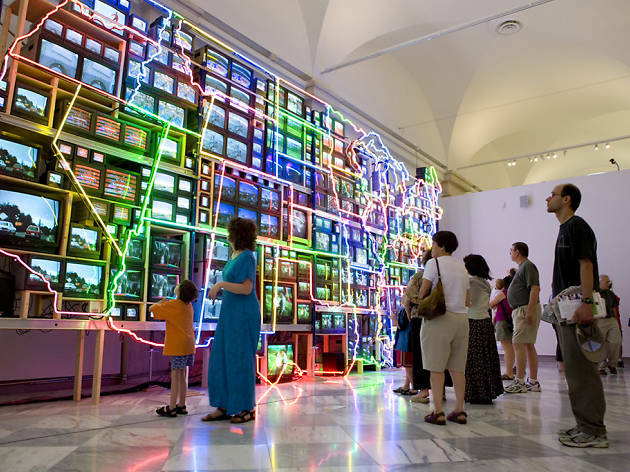 The main collection is housed in the historic former Old Patent Building, and features work from 7,000 different artists like famed portraitist John Singer Sargent, painter Mary Cassatt and multi-media innovator Nam June Paik, as well as pieces by lesser known artists. The museum’s vast collection of classic pieces as well as unusual museum fare (like video games) are a reflection of modern day America. SAAM’s separate Renwick Gallery, which was built in 1859 and was known as “The American Louvre,” now showcases craft objects and decorative arts created in the past two centuries. 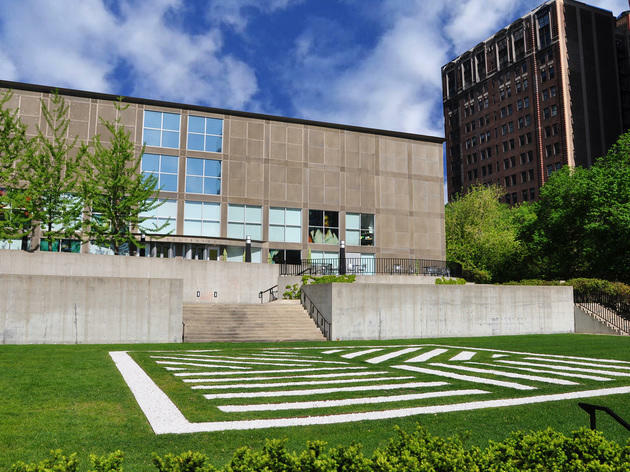 One of the five most visited contemporary art museums in the U.S., the Walker Art Center was founded in 1879 by lumber baron Thomas Barlow. 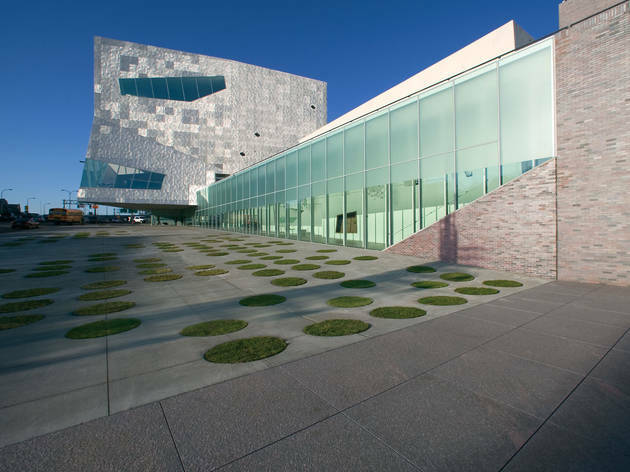 Since then, it’s evolved into a 17-acre campus that combines the museum’s Edward Larrabee Barnes and Herzog & De Meuron buildings with the Minneapolis Sculpture Garden. More than 90 percent of the visual art objects in the permanent collection were made after 1960 and include such international contemporary talent as Bharti Kher, Danh Vo and Gabriel Kuri. 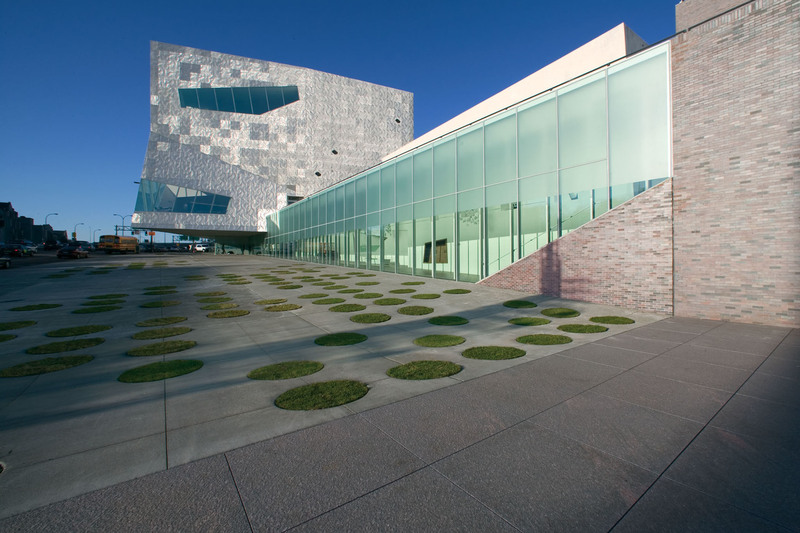 Reflecting the museum’s commitment to art in all mediums, the Walker also offers an acclaimed performing arts program and a state-of-the art cinema. The most prominent feature of this futuristic-primitive building is the massive perforated copper tower that emerges from the surrounding canopy of trees, making those who approach from the Ninth Avenue entrance to Golden Gate Park feel like they’ve stumbled across an abandoned mothership. 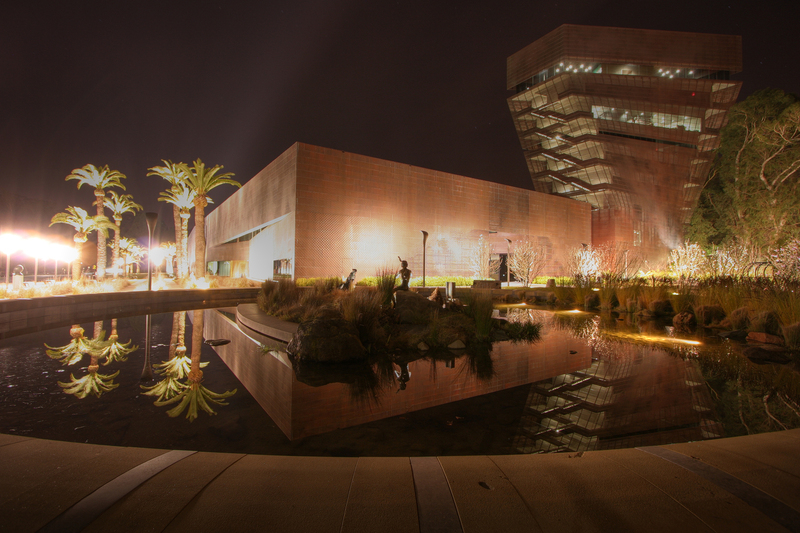 The De Young’s impressive holdings include some 27,000 paintings, sculptures, objects, crafts and textiles from Africa, Oceania and the Americas dating from the 17th to 20th centuries. 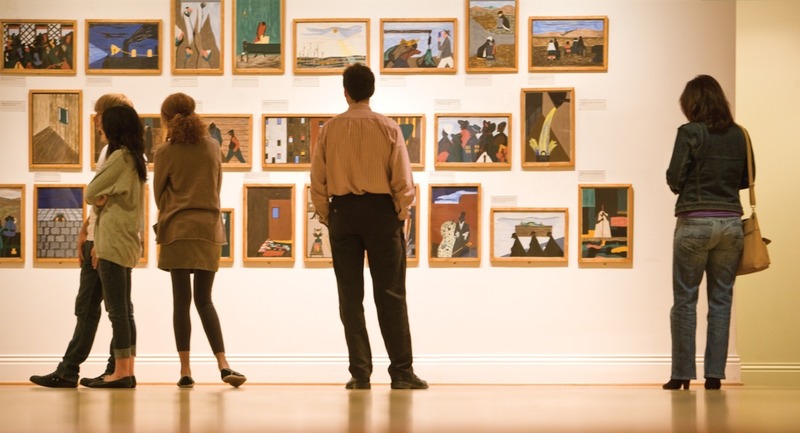 Rotating exhibitions cover a wide swath—everything from the treasures of King Tut and the Impressionists to Edward Hopper and Keith Haring. The observation tower, which can be entered without paying admission and commands great views of the park, is worth the trip alone. 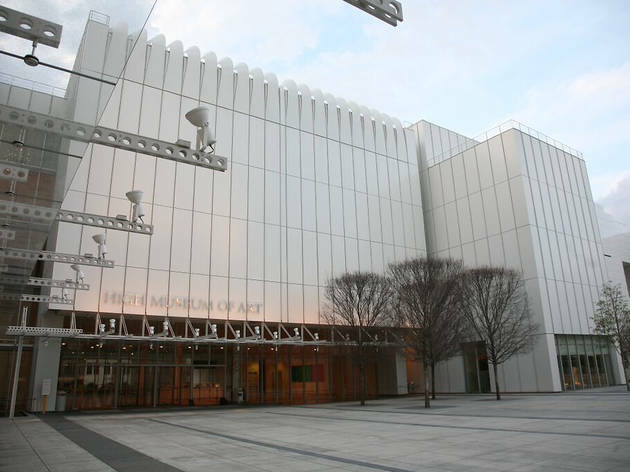 From its early 20th-century beginnings in Mrs. Joseph M. High’s former mansion on Peachtree Street, the High Museum of Art has grown into a world-class institution housed in structures designed by Richard Meier and Renzo Piano, totaling 300,000 square feet of space. The permanent collection of more than 15,000 works is particularly strong on American and decorative 19th- and 20th-century art. In addition to its growing contemporary art and photography holdings—including a peerless stash of civil rights era photographs—the High has assembled one of most significant collections of American self-taught and vernacular art in the world. The vibrant special exhibition program recently showcased murals depicting the battle for civil rights by Atlanta-based artist Hale Woodruff and a major retrospective focusing on innovative photographer Vik Muniz. Marjorie and Duncan Phillips opened this mansion as a gallery in the 1920s as a memorial to Duncan’s father; subsequent extensions to the Phillips Collection include the 2006 Sant Building, which added airy galleries dedicated to modern art, an outdoor sculpture terrace and café, an art and technology laboratory and an auditorium. The museum’s signature painting, Renoir’s Luncheon of the Boating Party, enjoys pride of place in the permanent collection galleries. There, significant Van Gogh oils rub shoulders with Steiglitz prints and a solid selection of works by Picasso, Paul Klee, Bacon, Vuillard and Rothko—if a traveling show hasn’t deposed them temporarily, that is. 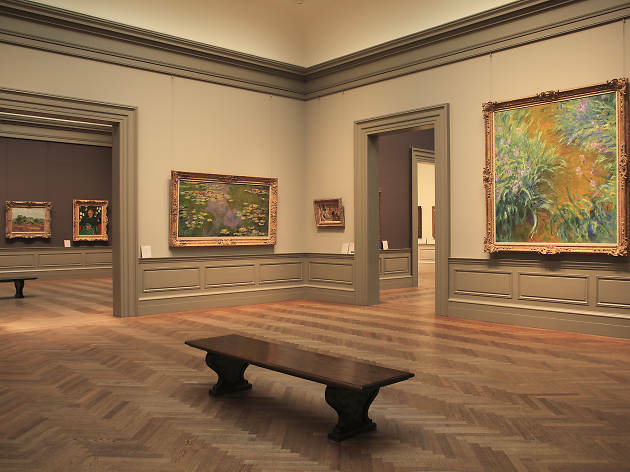 Though the decision to move the Barnes Foundation’s world-renowned collection from its original home in Lower Merion, Pennsylvania (a suburb of Philadelphia) to its downtown location in Logan Square in 2012 was controversial, the merits of the pieces of art are undoubtedly staggering. The founder, Albert C. Barnes, a wealthy chemist who invented the medicine Argyrol, amassed one of the leading collections of works by impressionist and modernist masters, including Vincent Van Gogh, Paul Cézanne, Pierre-August Renoir, Pablo Picasso, Henri Matisse and Henri Rousseau. 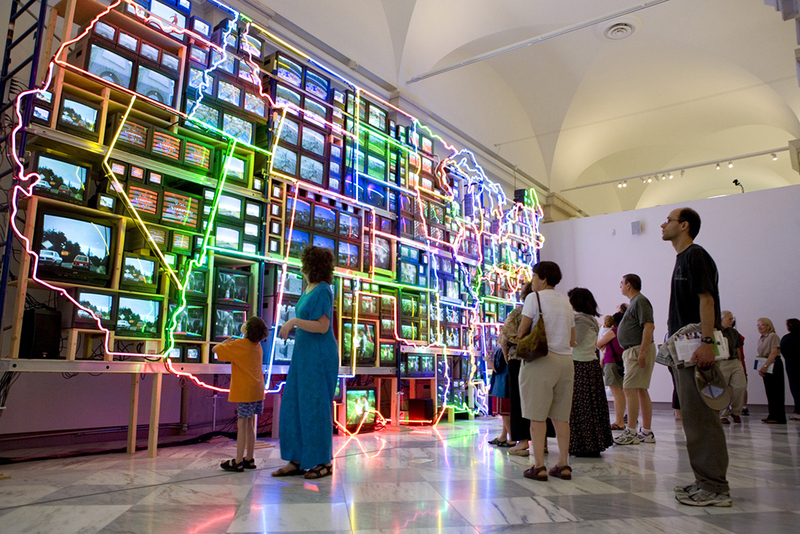 With so many noteworthy artists, it’s no wonder that the museum’s 4,000-holdings are worth an estimated $25 billion. 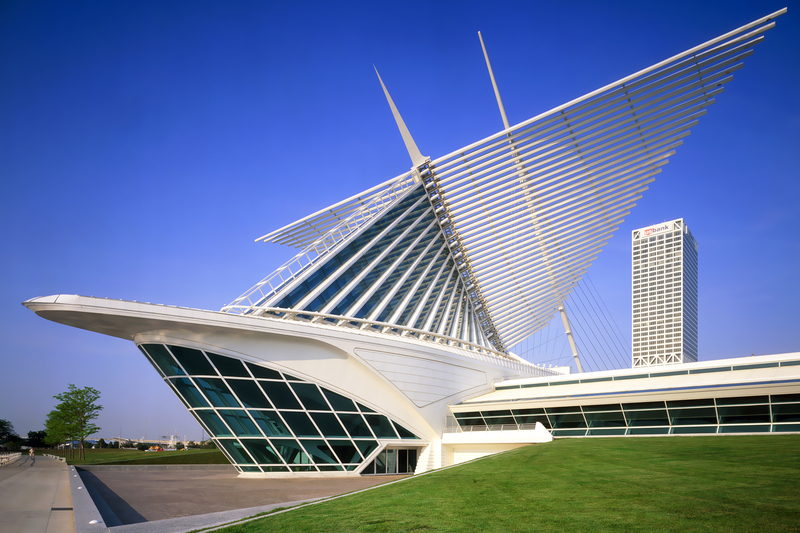 With an emphasis on the applied arts and works of self-taught geniuses, the Milwaukee Art Museum’s holdings include a comprehensive gathering of pre-1900 American decorative arts; sculpture and decorative arts from the Renaissance and Baroque periods; American folk art from the 18th century to the present; 20th-century Haitian art; and masterpieces of self-taught art from the U.S. and Europe. The museum is also strong on French fauve, German expressionist and European and American modernist works, as well as 20th-century photography and American art from after 1960. 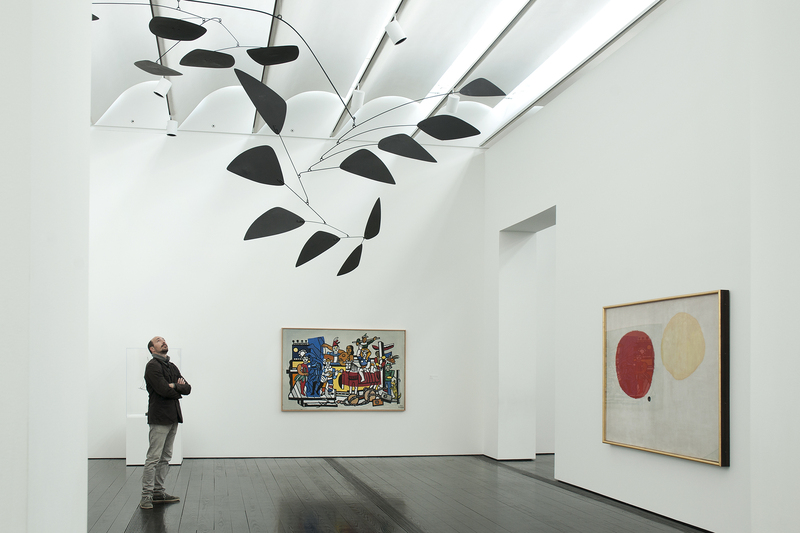 After undergoing renovations, MAM’s permanent collection reopened in 2015 with space for an additional 1,000 works, bringing the collection up to a staggering 2,500 pieces. 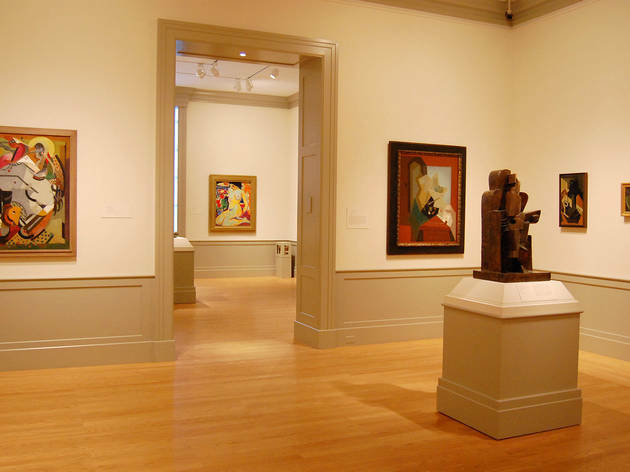 Following the Great Baltimore Fire of 1904 and a reappraisal of the city’s cultural needs, the Baltimore Museum of Art was founded in 1914 with a single donated painting. 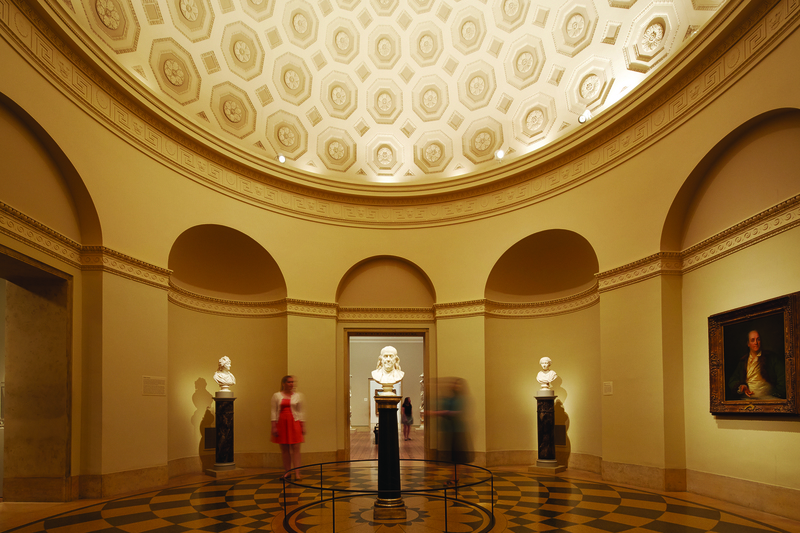 Today, the BMA owns more than 90,000 objects. 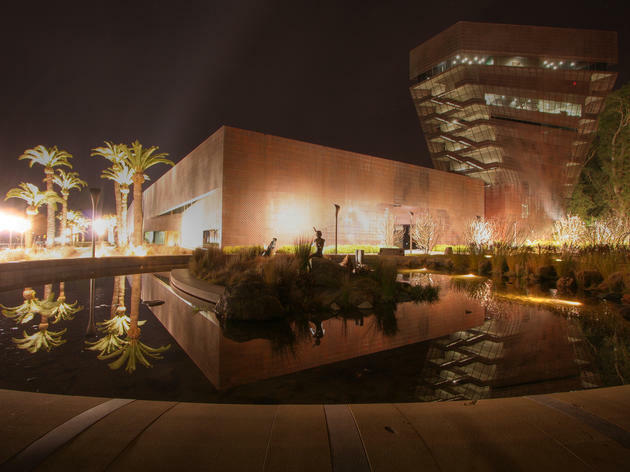 With a collection of American art spanning the Colonial era to the late 20th century, the museum is notable for its long history of collecting works by African American artists. The BMA’s biggest draw, though, is probably the Cone Collection, assembled in the early 20th century by the adventurous Baltimore sisters Claribel and Etta Cone and donated to the museum in 1949. The siblings visited the Paris studios of Matisse and Picasso, met Gertrude Stein and eventually amassed a collection of some 3,000 objects, including 500 works by Matisse—the largest array of the artist’s pieces in the world. 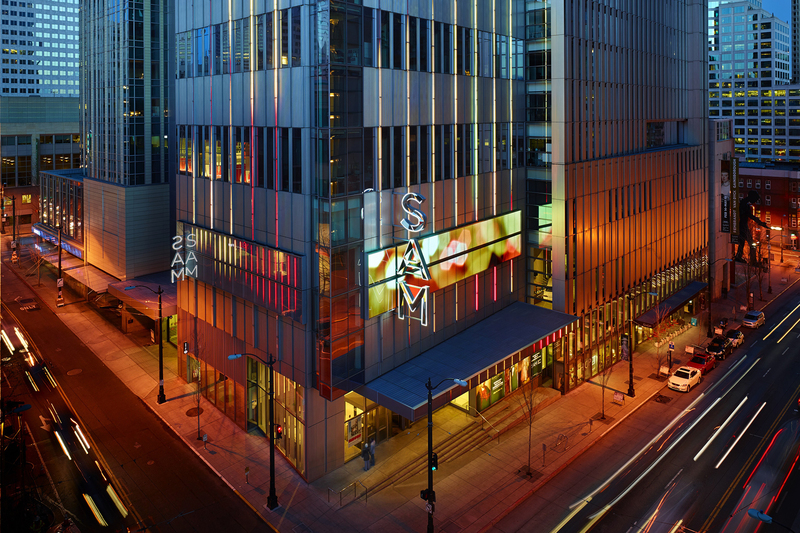 Founded in 1933, the Seattle Art Museum owns approximately 24,000 works spread over three separate facilities. 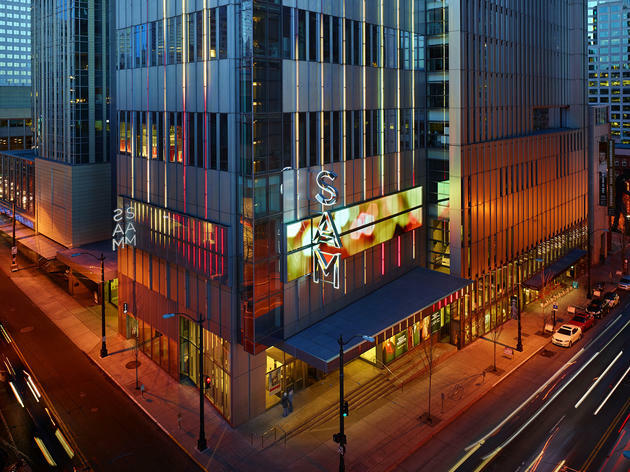 In SAM’s main building in downtown Seattle, you’ll find the museum’s collections of ethnic, modern and contemporary art. The cornerstone of the contemporary holdings is the Wright Collection, which comprises more than 200 works, and documents such major art movements as Abstract Expressionism, Pop, Minimalism, and Light and Space. The museum’s renowned Asian art collection is housed in its original Art Deco building in Capitol Hill, while the nine-acre waterfront Olympic Sculpture Park shows off monumental contemporary sculptures by the likes of Calder and Serra, and spectacular views of the Olympic Mountains and Puget Sound. 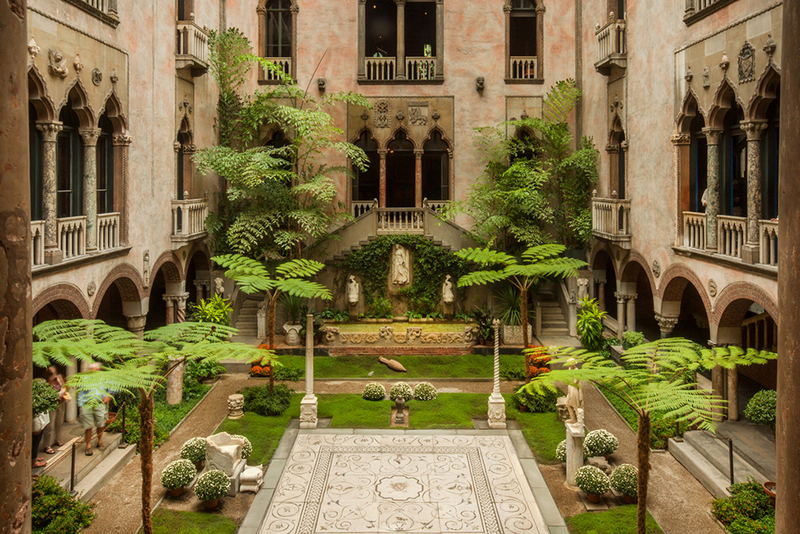 As remarkable as its eccentric socialite founder, the Isabella Stewart Gardner Museum is a lavish reconstruction of a 15th century Venetian palace, complete with an exquisite interior courtyard. Conceived by Gardner and her husband to house the growing collection amassed during their extensive travels, the museum opened in 1903. Every item in the 2,500-piece collection, spanning European, Asian and Islamic art from classical times to the turn of the 20th century, is meticulously placed according to Gardner’s personal instructions. (The downside is the empty frames that once contained priceless paintings, stolen in 1990.) Among the many highlights are John Singer Sargent’s El Jaleo and Titian’s Europa. A new wing, designed by museum maestro Renzo Piano, houses gallery space for special exhibitions and other facilities. 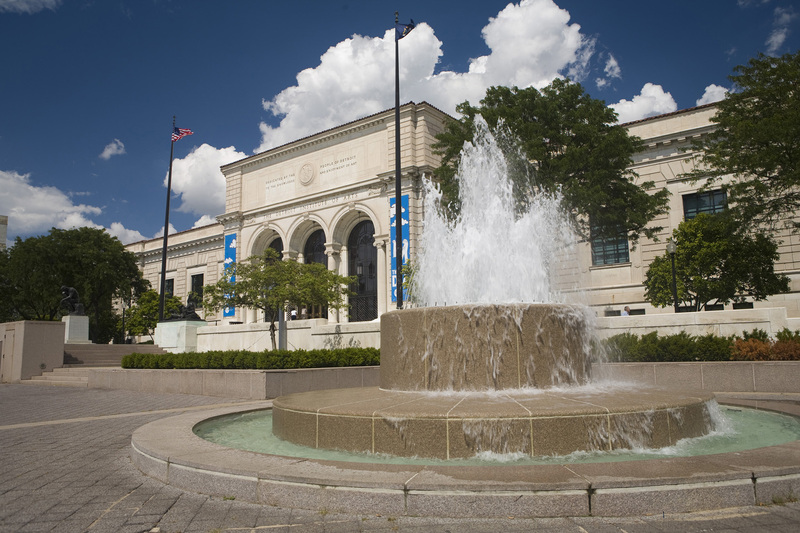 Founded in 1885, the Detroit Institute of Arts moved to its current Beaux-Arts building in 1927, when Detroit was the auto industry capital of the world. One of the best-known works in its collection, Mexican artist Diego Rivera’s modernist “Detroit Industry” fresco cycle (1932-1933), was created for the museum shortly thereafter. Famous for the breadth of its collection, the DIA established a special curatorial department in 2000 charged with expanding its collection of African American art. 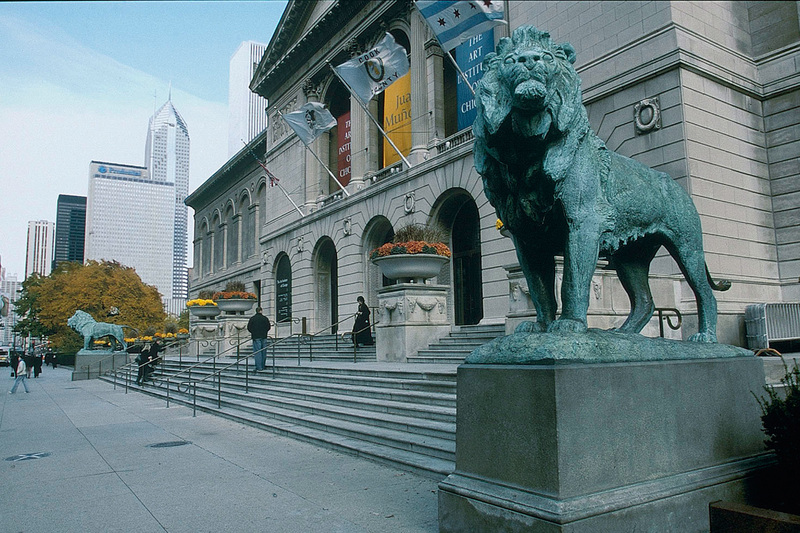 In 2014, a federal bankruptcy plan for the ailing city saved DIA’s collection—rumored to be worth more than a billion dollars—from being auctioned off to help pay the city’s debt, ensuring that such masterpieces as Jan van Eyck’s luminous painting Saint Jerome in his Study (c. 1435) and John Sloan’s plainspoken canvas McSorley’s Bar (1912) remain on view. 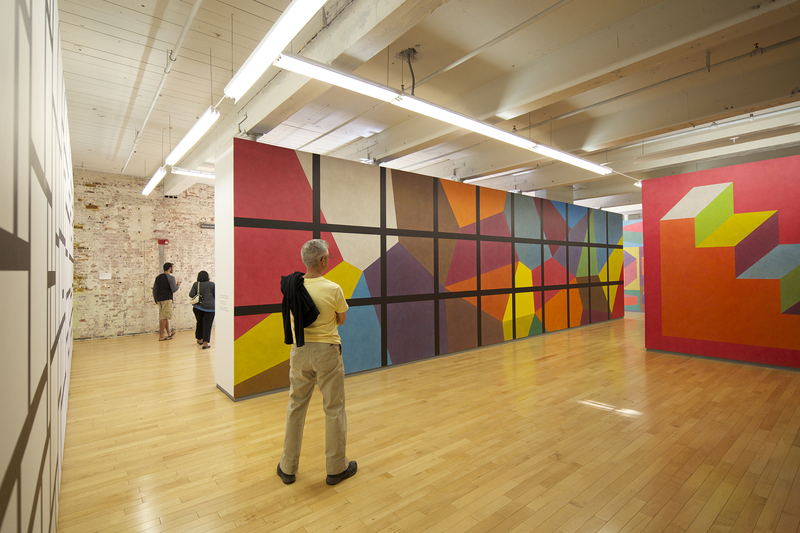 Located in a converted 19th-century factory complex in a former mill town, MASS MoCA is one of the largest centers for contemporary visual art and the performing arts in the country, with more than 200,000 square feet of exhibition space, 5,000 square feet of rehearsal space, a black box theater, and workshop and art fabrication facilities. The center’s primary focus is on presenting large scale and complex installations that can’t be realized in more conventional exhibition spaces, such as American artist Ann Hamilton’s corpus (2003-2004), a 10-month snowfall of sheets of paper. 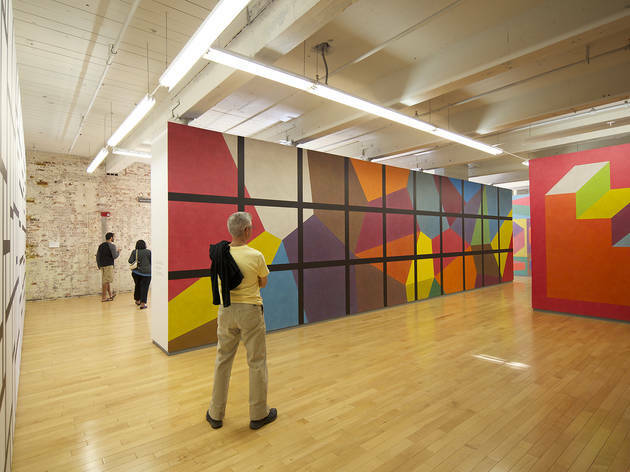 An exhibition of more than 100 monumental wall drawings and paintings conceived by Sol LeWitt will be on view through 2033. The center is also the home of two music festivals: the Bang on a Can Summer Institute and the Solid Sound Music Festival, curated by Wilco.